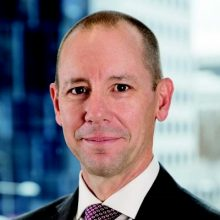 Randall Brugeaud was appointed Chief Executive Officer of the Digital Transformation Agency on 1 July 2018. Before his appointment, Randall spent almost 30 years working in a range of public and private sector roles, with a focus on transformation. His public sector experience has spanned large, medium and small organisations and his private sector experience includes more than a decade working with the Boston Consulting Group and a private IT consulting firm, which he founded and operated. Most recently Randall was Deputy Australian Statistician and Chief Operating Officer at the Australian Bureau of Statistics and before that, Chief Information Officer at the former Department of Immigration and Border Protection. Randall holds a Master of Business Administration, a Graduate Diploma in Applied Computing and a Bachelor of Education degree. He is also a Senior Executive Fellow of the Harvard Kennedy School.